The rather large playing field (150 x 74 cm) allows both children and adults to play comfortably. The smooth surface with markings imitates real wood and looks very classy. The product is quite heavy, which complicates its assembly. The Riley AH104 table is perfect for a room of average size. The reasonably high sides will keep the puck from flying away and provide good bounce, making the game more dynamic. The product comes in two more options. 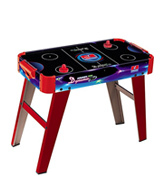 This 3-in-1 game table is a great purchase which will allow your kids to play not just hockey but basketball and football as well. The instructions are a bit tricky. 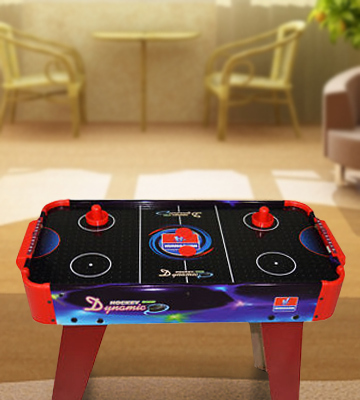 The JumpStar Sports table will bring you hours upon hours of fun. Moreover, it's quite easy to use. To start playing hockey, you only have to plug the product into a socket. This table can be used as a free-standing model and as a table top. The second option is particularly good for little kids that find higher sets difficult to play at. Scratches will become noticeable on the black surface over time. With this table, you won't have to worry about finding a socket nearby as its compressor runs independently on 6 AA batteries. And the two mechanical goal counters will help to keep the score. 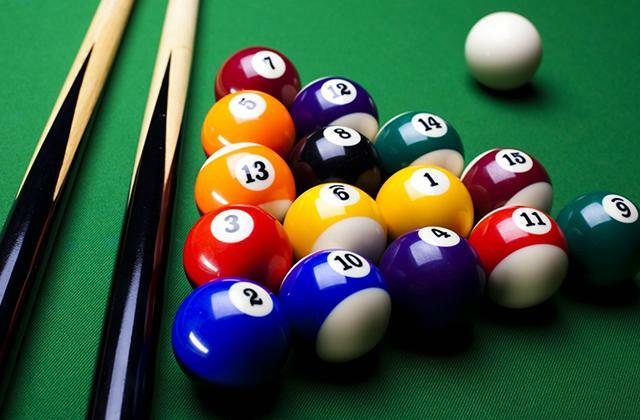 You can play pool, hockey, table tennis and football on this multi-game table. 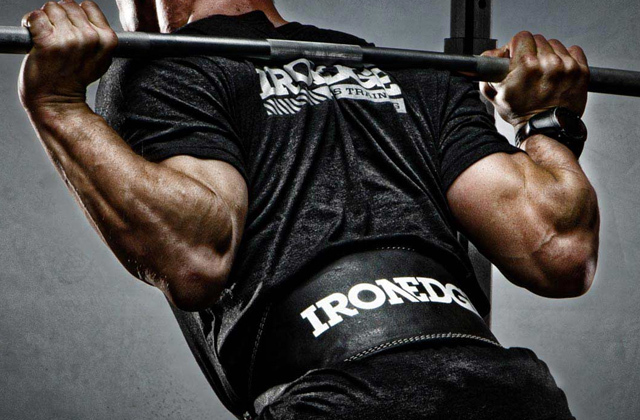 It is a great way to introduce your children to all of these games, developing their physique. You'll need quite a lot of space to store all the accessories. The HLC 4-in-1 table with several interesting and dynamic games will be appreciated by every child. It is designed stylishly, constructed sturdily, and can be folded up to be much smaller for easy storage. 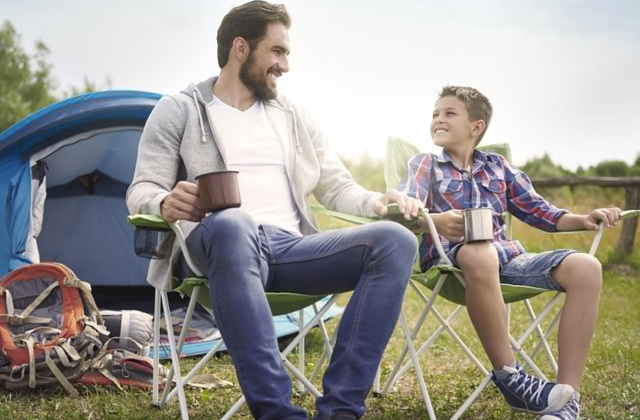 As the table doesn't need a power socket and is rather compact and lightweight, it can be easily taken along for a picnic or to a friend for a playdate. 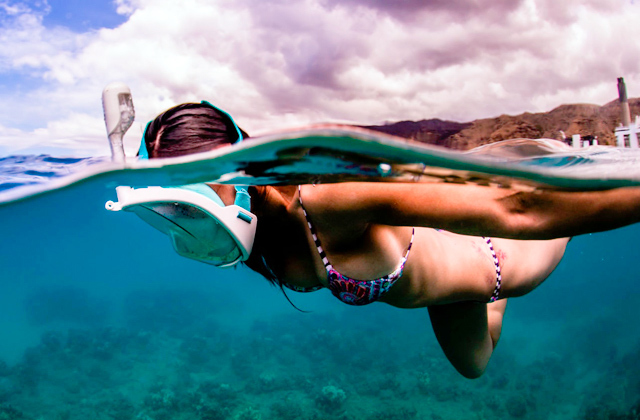 The plastic frame won't be damaged by bad weather if you get caught in the rain. The field divider is going to take a lot of hits and will likely lose its pleasant appearance after a while. 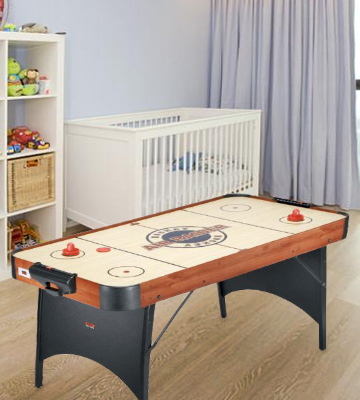 The Team Power table hockey is suitable for even the smallest players. The field is highly realistic and the bats have comfortable handles and a protective rim to keep fingers from getting hit. 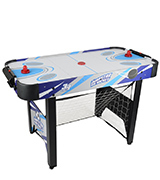 Even something as simple as a quality air hockey table can be tough to find, especially if you want a top-notch and good-looking model that will both bring days of fun to your child and ensure that he or she will always be playing safely. The Riley AH104 meets all of those requirements. The high sides of this set serve to keep the game within the bounds and protect your children from getting hit if one of the players smacks the puck too hard. The set is quite heavy and tough, which means that it’s not that easy to assemble. However, putting all parts together won’t take too long if you have an extra help. The table has a reasonable weight, thus, it cannot be accidentally turned over by an overly active child. The Riley AH104 works on electricity alone and, after you’ve assembled it and plugged it in, it can be used right away. The wood panelling with smooth finish looks incredibly classy and impressive. It gives this simple kids’ toy a luxurious touch. Such a high-quality model will look good even in a spacious and luxurious flat or house, standing along the adults’ favourite flat screen LED TV. 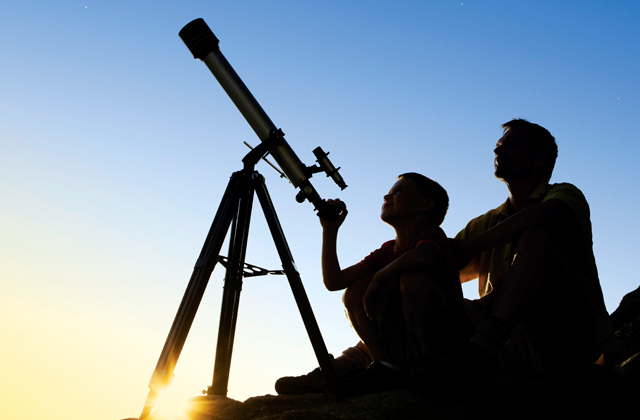 That way, your kids can play while you're enjoying your favourite films or shows. When you want to play multiple different games, it’s better to save your money and space by getting a playset with multiple modes. One of the best tables you can get for your money is the JumpStar Sports 3-In-1 Multi Games Table designed to let you quickly switch from hockey to basketball and to football. 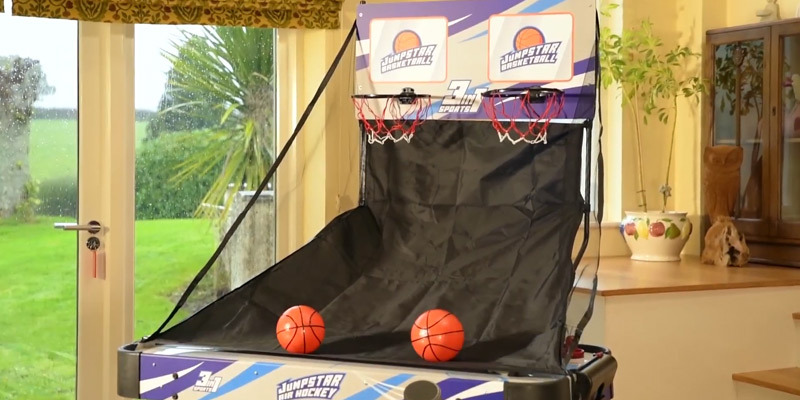 With this model, you can play with air slammers one minute and the next minute you’ll already be throwing basketballs into hoops. It does not require a gruelling assembly and even the somewhat unclear instruction manual won’t be an issue, as the model is quite simple despite its multiple features. However, this varied table needs space to set up, especially the basketball option. This set may just be too much for a small, cramped flat, though it would be wonderful for a larger house. 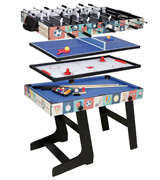 If you do have enough space for such a large playset, the JumpStar Sports 3-In-1 Multi Games Table is an excellent choice. It will let you teach your kid to play basketball, football, and hockey all at once without a need to buy three different expensive toys. Plus, it’s easy to turn on, you can just plug it in into any socket (the set fits the EU and UK standards). Pick this product for top-notch sports play! Not everybody has a lot of free space in their flat or house, so sometimes a free-standing playing set is not really an option. 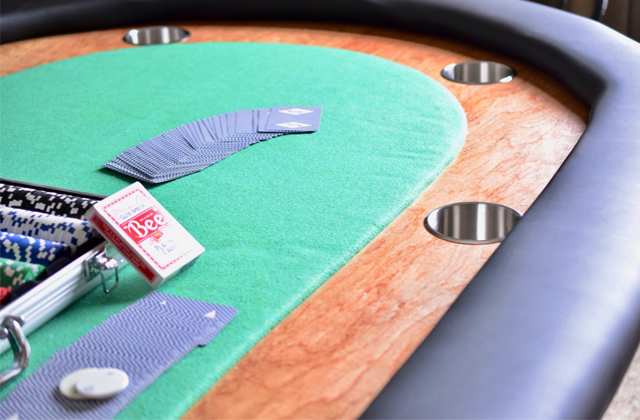 If free space is an issue for you or you just want a good table ice hockey, read on about the Guaranteed4Less AGP1542 table, a convertible and well-made product. This model is made for easy transition from a free-standing table to a desktop game. It is easily adjustable, which is an obvious advantage as your living situation might change over time. If you suddenly need extra free space, just pop the hockey set onto a table, put it away on top of a wardrobe, or even under a bed. It’s a very compact game that works especially well for small flats. However, of course, it will look just as good in a big house. The set is suitable for smaller kids, as it’s not too big and fits their height well. Operating with just 6 AA batteries, it doesn’t need to be plugged into a socket and, thus, poses no danger even if your little one is still in the exploring and touching everything around. The Guaranteed4Less AGP1542 is a decent choice for anyone who doesn’t want to leave too much space for this simple toy. And, if you want to surprise your child with something equally fun, take a look at some playhouses that we’ve chosen for you. 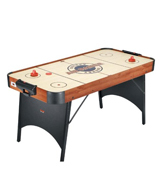 If you want to save some money by getting not just an air hockey game table but billiards, table tennis and football table all at once, consider the HLC 0062BK model. It features 4 games in 1 and allows your child to experience different kinds of fun without getting several separate toys. 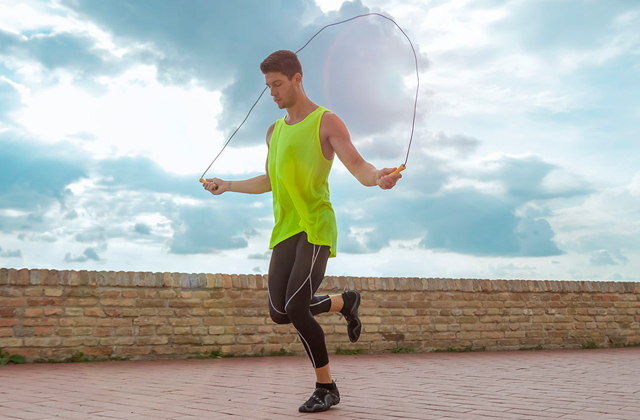 Plus, all of the games are good for his/her physique, either training the strength in his/her hands or hand-eye coordination. 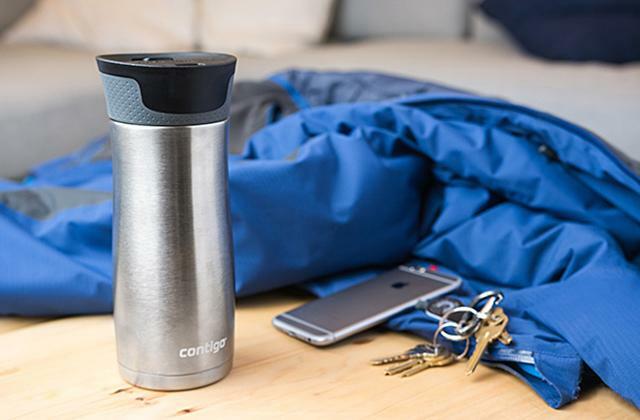 With that many varied options though, you do get plenty of accessories and additional parts that require quite a lot of storage space. Unless your flat or house has a free cabinet or something similar, you might have trouble hiding all the parts when the table is not in use. Luckily, the table itself is quite easy to fold up and put away and it won’t take up much space. Remarkably, this model requires neither electricity nor batteries, saving you quite a lot of money in the long run. Plus, the HLC 0062BK is very sturdy, so even if your tot gets overexcited and leans or jumps on it, the table will stay stable and you won’t have to pay for a new toy. 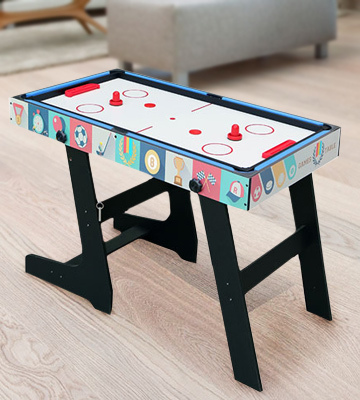 Overall, if you have an active child that likes versatility in his/her games, choose this model and get your money’s worth with a high-quality hockey table. Sometimes you want to take your kids out to play in the open air and they’d still want to have a chance to use their favourite desktop air hockey. Not all models are lightweight or compact enough to bring along though, so take a look at the small and easy-to-carry the Team Power 26344 table. Requiring just 2 D-type batteries, this playset can be transported and set up with no hassle, so you can take it to a picnic or camping with no extra preparation required. And if the weather suddenly gets bad, you don’t have to rush and hide the hockey, as the plastic frame won’t be damaged by rain. This model is great for smaller kids, since it has highly comfortable bats with specialized rims made for finger protection from pucks. The field also has a divider for extra safety, though that may be worn out as time goes on and it gets hit by many pucks. The Team Power 26344 may not be the most versatile and high-quality model, but it’s a sturdy and light hockey product that you can give even to the smallest tot. Plus, it’s completely transportable as it needs no electricity at all. A great option for a parent on-the-go and their active kids. And, if you want some additional games for your kids to have fun with, take a look at our picks of table tennis. 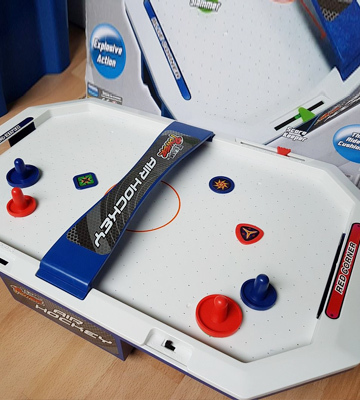 If you do not know what to do at the weekend or how to entertain your children and cut down their screen time, you should definitely purchase a game like an air hockey. It has gained wide popularity in many countries around the world and is often used in shopping centres where people relax, do shopping, and have fun. The game has a rectangular play surface with small holes along the perimeter for air supply. The compressor produces air stream that enables you to accelerate the puck movement along the table top. 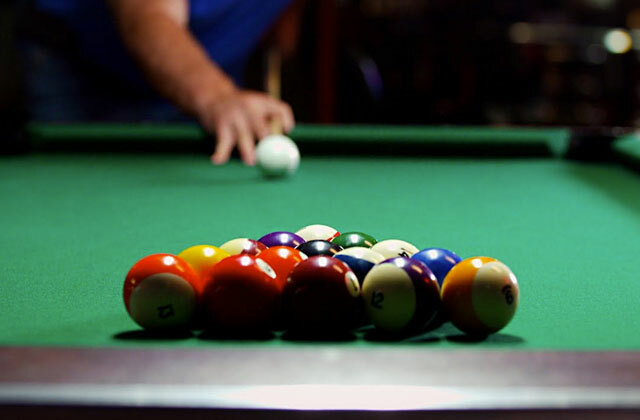 Manufacturers usually equip tables with powerful compressors to avoid slowing down of a puck. However, these sets have some age restrictions - only children over 3 years old can use them. 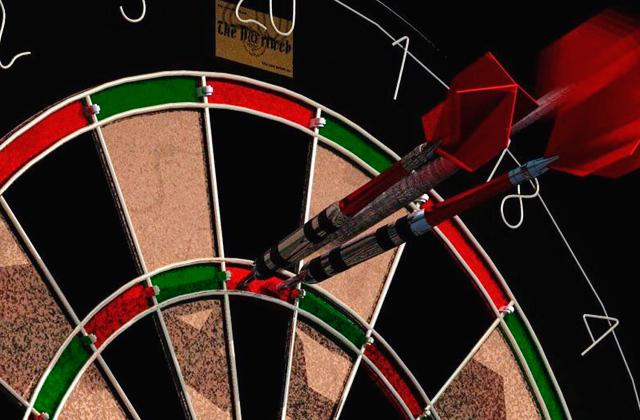 The game itself involves various muscles and positively affects your and your children's health. 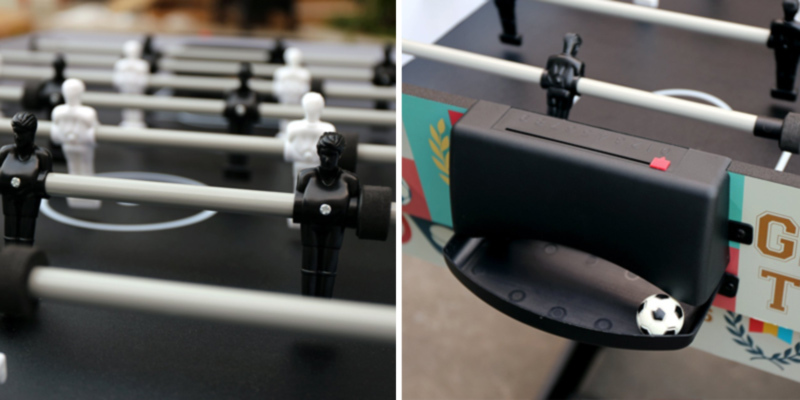 If you are just furnishing your playroom, you may be also interested in rod hockeys and foosball tables. First and foremost, you should decide where you're going to install the playset. If you have a fairly spacious room, you can consider freestanding models that come already pre-assembled with legs. However, if you are limited in space, we recommend you to pay attention to such models that can be installed on your coffee or dinner table. The materials a table is made of are also worth paying attention to. The simplest models have a plastic surface allowing pucks to slide pretty fast, however, these products are not designed for a daily use. Concerning more expensive models, they are produced from wood that withstands extreme loads and is perfect for everyday tournaments. The heavy-duty models that are usually installed in amusement parks and shopping centers are made of metal and equipped with anti-vandal protection. Tech specs include the power source and capacity. For home use, we suggest selecting models powered by AC adapter. Yet, if you are planning to take this table game on picnics, you should choose portable models powered by batteries. And the more powerful the compressor is, the better the air supply is, which will result in the great speed of puck and affect the overall quality of the game. Of course, take a note of additional conveniences of the table, particularly a scoreboard. Typically, it is manual, but you can find models with electric scoreboards for automatic tracking. Many table models are completed with built-in goal boxes with automatic puck return. When you score a goal, the puck falls into the hole located on each side. Since the puck can be easily lost, a spare puck often comes for free. Q: How do hockey playsets work? A: These tables work thanks to a compressor powered by the mains or batteries. The compressor produces strong air flow that moves the puck over the smooth surface of the table. Score counter units keep track of all the action and show the results on scoreboards. Q: What accessories should I buy for my hockey set? A: This game requires minimum additional gear. All you need is a table, two special pucks, two pushers and a free space to install a table. Q: How many players can play the game? A: This game is for 2 players. Q: Where can I place my hockey playset? A: The advantage of the table is that it is compact and portable, and you can put it on the floor. Speaking of table top models, you can place them on any flat surface you want. Q: Who is this game best for? A: The hockey is a fun game for the whole family. 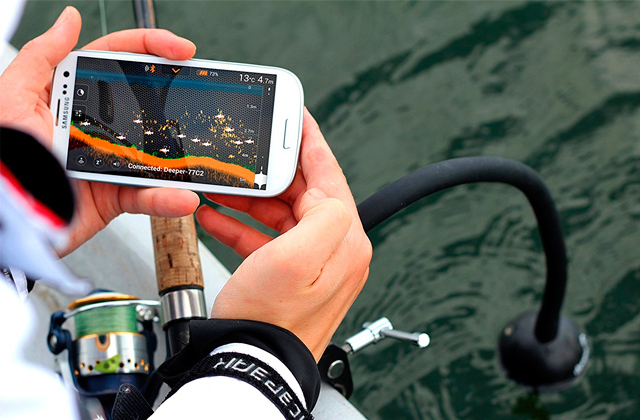 It has many advantages: it is a dynamic game that develops such skills as accuracy and coordination. Q: How should I take care of my table? 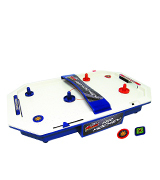 A: It’s recommended to clean your air hockey table on a regular basis to keep the playing surface smooth. Wipe the table surface with a soft cloth and furniture polish, then make sure that the tabletop is completely dry. Pucks and pushers also need proper maintenance. Use the same furniture polish for them. Do not spray the cleaner directly on the table surface, as this may block air holes. Use only accessories supplied by the manufacturer and do not put foreign objects on the surface to prevent scratches. Q: How should I select the right table size? A: It depends on the free space you have in your room. Just keep in mind that the table shouldn't be too bulky because you need to move freely around it. Typically, standard tables are somewhere 40-inch wide and 70-inch long. The bigger the playfield is, the more exciting and challenging the game will be. 1. April Sanders Tips on Buying Air Hockey Tables, Overstock.com. 2. 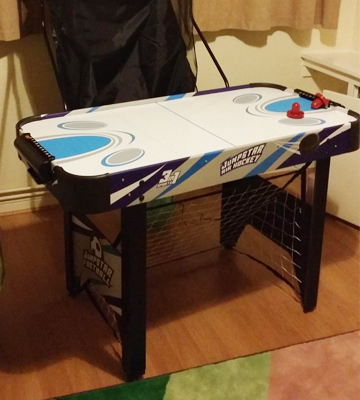 Air Hockey Table Buying Guide, eBay. March 10, 2016. 3. 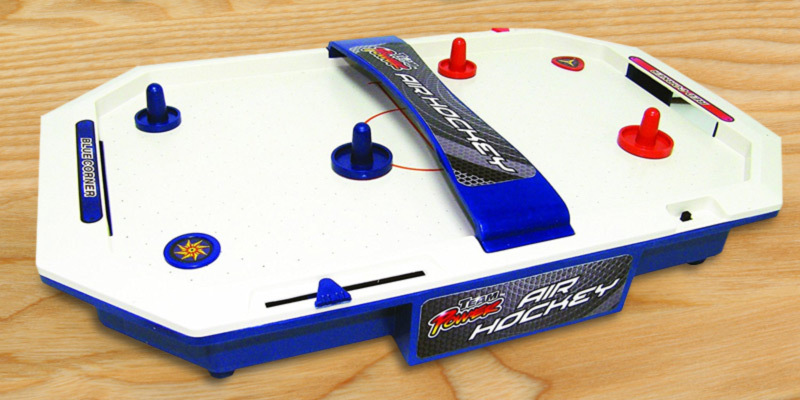 Air Hockey, Wikipedia. March 29, 2017. 4. 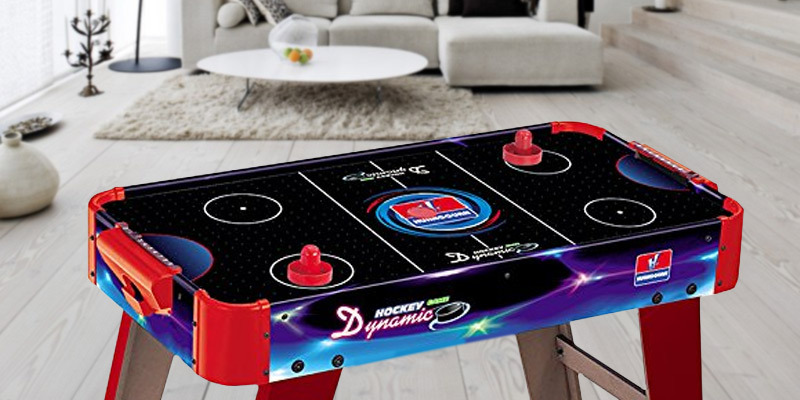 How to Play Air Hockey, eBay. March 16, 2015. 5. 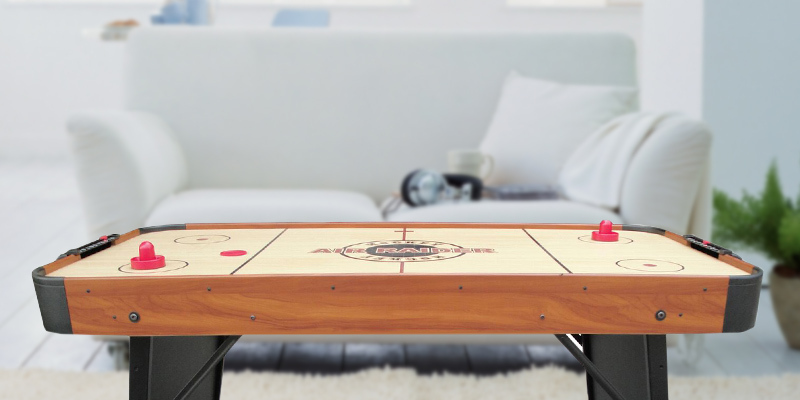 Air Hockey Table, DoItYourself.com. 6. Table Hockey Games, Wikipedia. July 22, 2016. 7. Michael Nunez Building Your Own AirHockey Table is Surprisingly Easy, Gizmodo. July 21, 2016.